Posted on 08/05/2018 at 13:31. Beijing is not cheap, and traveling there on a budget has become harder the last couple of years. But any major city has budget options, and by making a few small adjustments, you can find big savings that will make any trip to Beijing fun, affordable, and memorable. 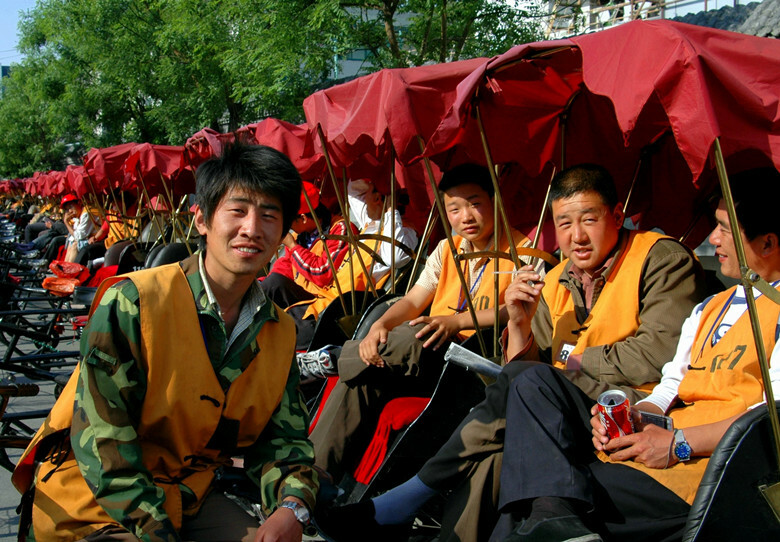 Here’s a quick “Top 10” tips to save for first time visitors to Beijing. Buying a local SIM card is often the cheapest way to use your phone overseas. The best way to travel to Beijing is to buy a local SIM for call/data purpose rather than using your home data plan. It’s very cheap and easy to obtain at the airport or the store near your hotel. There are two primary companies offering Chinese SIM card: China Unicom and China Mobile. Of course, you need to have a phone for it. Take the airport express train into Beijing If you’re arriving into PEK airport, provided your luggage is not heavy. Tickets are 25RMB per person. The city’s airport bus, shuttles between the airport and downtown every 30 mins, or once fully seated for 20RMB to 30RMB per person. Stay away from taxis. They’ll cost at least 100RMB to 150RMB from the airport into the city’s center. Happily, Beijing is a city still blessed with many hostels, budget hotel chains or AirBnB. It’s not difficult to find an affordable two or three-star hotel in central Beijing for less than 400RMB a night. Many of these hotels are located in downtown near subway that would conveniently help you move comfortably. Wangfujing area is a busy shopping district that’s close to Tiananmen Square and the Forbidden City. Qianmen area, just south of Tiananmen Square, is also central and great for old neighborhoods-Hutongs. Check out where to stay in Beijing for more tips. Choose hotel which offers free breakfast. This will not only get your day off to a great start but you can make this your largest meal of the day to get you through your travel adventures. You may even be able to grab a few items from a breakfast buffet for the road such as fruits or bread items. Many budget hotels / hostels offer free Wi-Fi, and there are plenty of places to get Wi-Fi for free, from city buses to Starbucks, McDonald’s, museums and railway stations. Once connected, call home for free using WhatsApp, Wechat, FaceTime or other programs. The subway in Beijing is convenient, cheap, faster than taxis during rush-hour. Subway can take you anywhere you need to go. In a rush hour, traffic will make taxi about the same speed or slower than the subway. Don’t waste money on overpriced taxis. Beijing has a host of amazing free attractions and landmarks that you can visit without spending a penny. These include Tiananmen Square, Houhai bar street, 798 art district, Panjiayuan flea market and top museums including Capital Museum, Beijing Ancient Coins Museum etc. 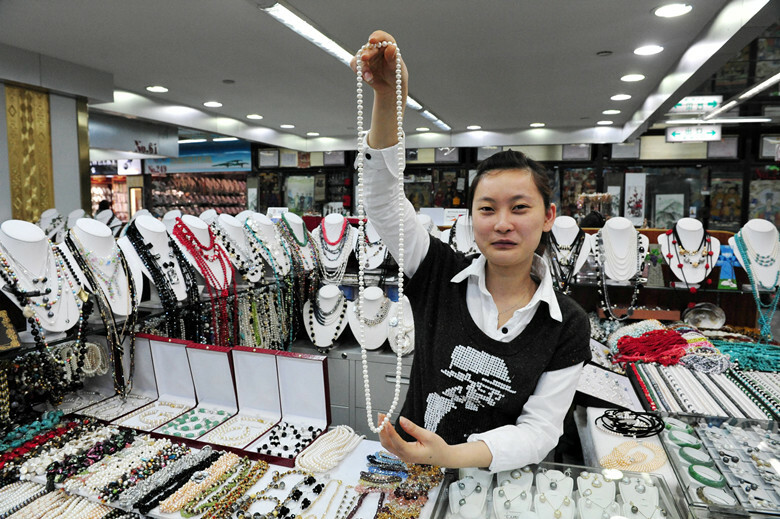 Beijing is a shoppers’ paradise, and here’s plenty of bargain options. Check out Silk Market and Pearl Market which offer something for serious bargain hunters and for everyone. Bargaining is expected in these markets so make sure to haggle the price down or you will pay over the odds. Western food is almost always more expensive in Beijing. For affordable food, look out for chain restaurants like Green Tea, Grandma’s Home or Chengdu Snack Food. If you want to save big money on meals, you can try some street food like dumplings, noodles and gaifan (rice topped with dishes such as Kung-pow chicken, approx. 15RMB per person.